Maybe my lovely anonymous commenter can clarify, but I believe the commenter meant Gidget instead of Gizmo when referring to my hair. What do y'all think? At least we all know who the gremlin is. . .
You are adorable and look like Gidget! Shake off the haters girlfriend. Both are adorable and so are you. I already told you I love Gizmo... can you get wet or be feed after midnight...these are important questions if you are in fact a mogwai. FYI - I had to look up how to spell mogwai. I guess it might be weird if I knew how to spell it? People are AWFUL. You are not. Actually both Gizmo and Gidget are darling - as are you! So, really you can't go wrong! I can't believe there are such hateful people out there in the world. In Texas, anonymous cyberbullying is an actual crime that people can be arrested for. I know you are too sweet to consider something like that, but I just can't believe people would be so ugly! You are awesome - keep up the great blogging! I really can't believe that someone would write such mean comments. I really like gizmo and gidget are so cute. Ditto Shelly, Sammer Faye. 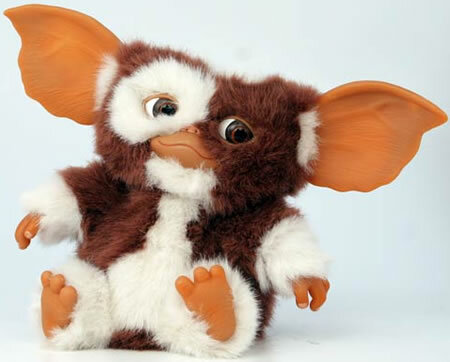 I watched Gremlins this weekend and was reminded of how cute Gizmo is. Love to you. Anner. Comparing someone to Sandra Dee does not an insult make, Anonymous. (Maybe Gizmo was a Freudian slip?) Either way, I'd take a Gidget comparison any ol' day - and you look plain fabulous. I don't see Anonymous posting pics every time she gets *her* hair did. Love your style, whatever you call it - way to ignore the drama. Gidget for sure! LOL although Gizmo is SUPER cute! No, LeAnn Rimes!! That is what everyone who I work with says you look like (and obviously those spring breakers back in '99 thought the same!) Oh Anonymous, you are such a coward. Trying to be bitchy, while hiding behind a no named label. Ah, what a life:) Sure am glad I am not you! At least some people have the balls to show their real selves, with or without makeup, hair done or not done and living life to the fullest. You must have a lot of free time on your hands and a lot of pent up anger towards cute fuzzy characters (gizmo). Do I sense some jealousy towards smart, bubbly, adorable and funny blonde people?! You should really go see someone about that. Hehe!! Love you Samma Faye and you make my mornings! 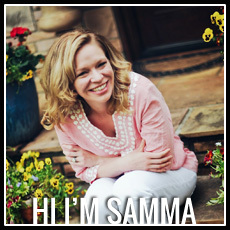 OH and FYI, Samma is one of the few people i know who actually IS blonde (I, myself, am pretending to be). I say YOU GO GIRL.. such a tactful way to defend yourself! && isn't it sad that some people hate themselves so much that they have to bring down other people with them??.. tear.